The new Canon XC10 4K Professional Camcorder is now in stock and shipping in most US stores, however, it is a pity that this new camcorder is not listed on Amazon. The price is for only $2,499.00. This entry was posted in Canon Camera and tagged Canon camera, Canon XC10 on July 2, 2015 by admin. 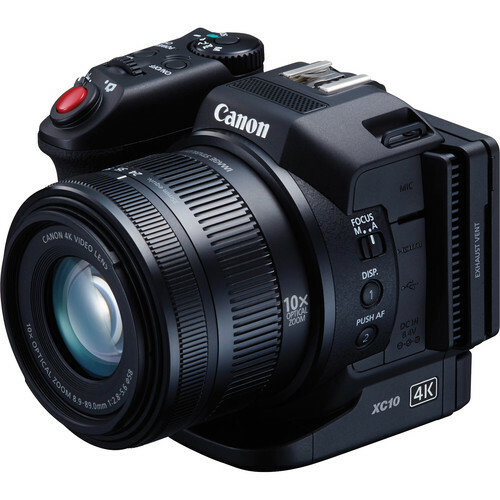 The new announced Canon XC10 4K Professional Camcorder is now available for pre-order. This new camcorder is a compact, lightweight video and digital stills camera that brings professional 4K quality for only $2,499.00. This entry was posted in Canon Camera and tagged Canon camera, Canon XC10 on April 9, 2015 by admin.